LAKE SUCCESS, N.Y., January 10, 2013 -– Canon U.S.A., Inc., a leader in digital imaging solutions, announces the new CN-E14mm T3.1 L F and CN-E135mm T2.2 L F single-focal-length lenses for large-format single-sensor cameras employing Super 35mm or full frame 35mm imagers. These two new lenses join with Canon’s CN-E24mm T1.5 L F, CN-E50mm T1.3 L F, and CN-E85mm T1.3 L F primes to provide a broad line of five precision-matched, competitively priced EF-mount Cinema prime lenses that provide high optical performance levels and a choice of versatile focal lengths for a wide range of creative shooting choices. All five Canon Cinema prime lenses are part of the Canon Cinema EOS System of professional digital cinematography products, which include the EOS C500 4K/2K Digital Cinema Camera, EOS C300 Digital Cinema Camera, EOS C100 Digital Video Camera and EOS-1D C 4K DSLR Cinema Camera, and four Canon Cinema zoom lenses. 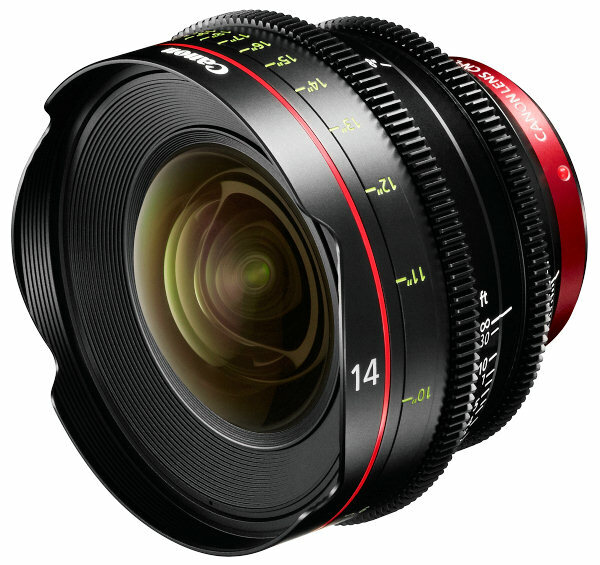 The new Canon CN-E14mm T3.1 and CN-E135mm T2.2 Cinema prime lenses – as well as the Canon CN-E24mm T1.5, CN-E50mm T1.3, and CN-E85mm T1.3 primes – are fully compatible with the Canon EOS C500, EOS C300, EOS C100 and EOS-1D C digital cinema cameras. The EF-mount design of all five Canon Cinema prime lenses provides communication with these cameras for such handy features as display of the f number in the electronic viewfinder, recording of focus/zoom position and f number, and Peripheral Light Compensationi for more pleasing effects shots. 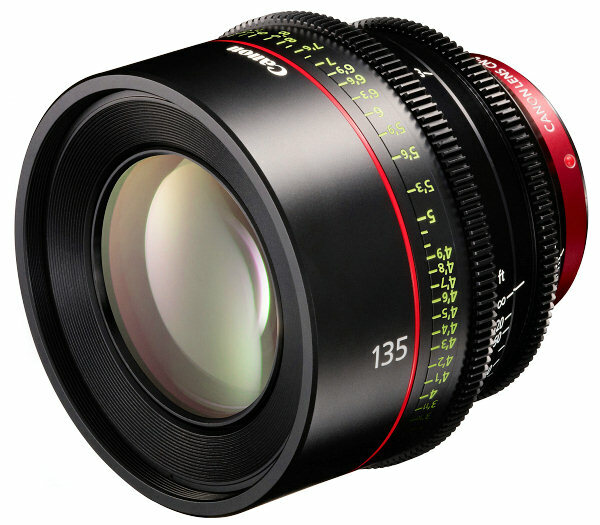 The CN-E14mm T3.1 L F single-focal-length lens is expected to be available in April 2013 for an estimated retail price of $5,500. The CN-E135mm T2.2 L F single-focal-length lens is expected to be available in May 2013 for an estimated retail price of $5,200. Canon U.S.A., Inc., is a leading provider of consumer, business-to-business, and industrial digital imaging solutions. With approximately $45.6 billion in global revenue, its parent company, Canon Inc. (NYSE:CAJ), ranks third overall in U.S. patents registered in 2011† and is one of Fortune Magazine’s World’s Most Admired Companies in 2012. In 2012, Canon U.S.A. has received the PCMag.com Readers’ Choice Award for Service and Reliability in the digital camera and printer categories for the ninth consecutive year and for camcorders for the past two years. Canon U.S.A. is committed to the highest level of customer satisfaction and loyalty, providing 100 percent U.S.-based consumer service and support for all of the products it distributes. Canon U.S.A. is dedicated to its Kyosei philosophy of social and environmental responsibility.